What a joy to be back again in the magnificent apartment of Lisa and William Gross! 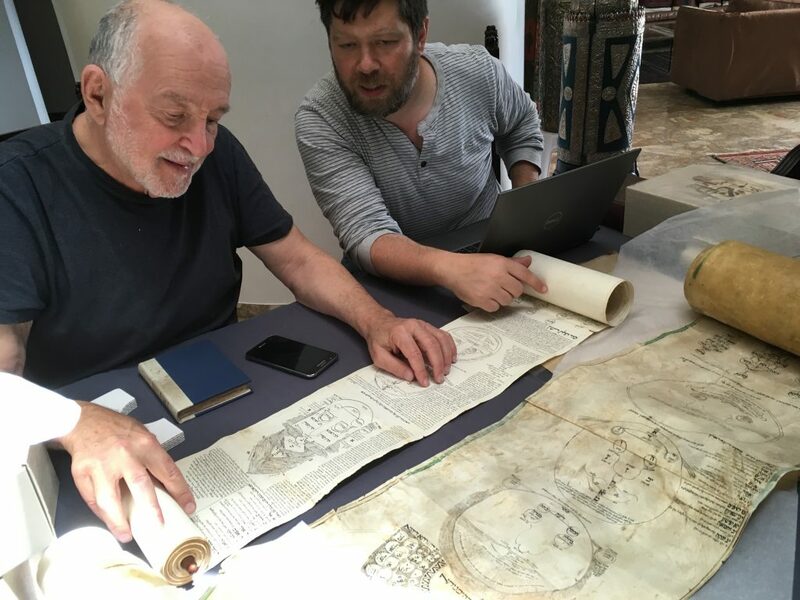 William, whose curiosity about his own unparalleled collection of artifacts sparked the Ilanot Project, was again sharing. This time, it was his newly-arrived acquisitions from the recent Sotheby’s sale. 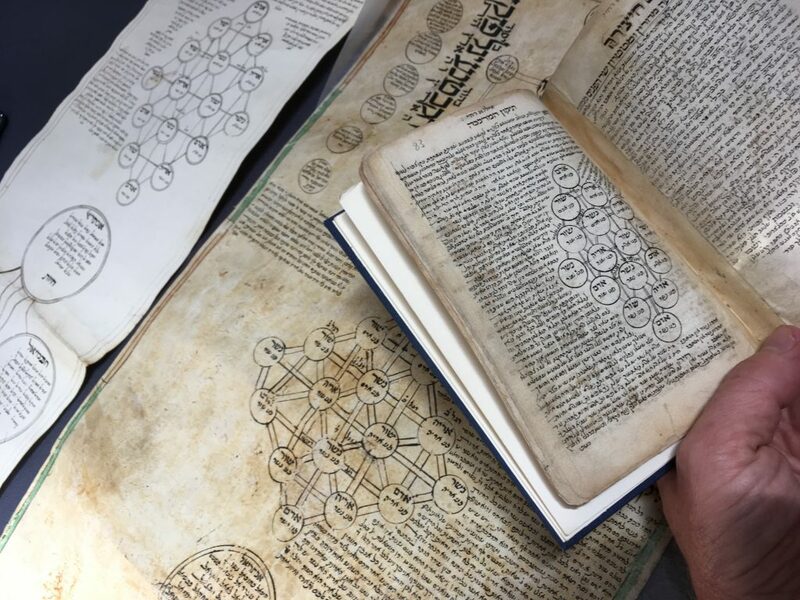 There was an extraordinary book of practical Kabbalah, perhaps the only one of its kind to best another work that was already part of the Gross collection, as well as another fine exemplar of the Kopio Ilan (about which see the forthcoming book to be published by Eliezer with Cherub Press later this year). 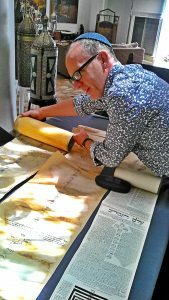 But the real excitement was around the latest and greatest scroll by the scholar, artist, and kabbalist Isaac Sason ben Mordechai Shantuch (1747-1830). With this acquisition, William has now acquired four out of five known exemplars of the extraordinary Ilanot fashioned by Shantuch over nearly as many decades. The story of these Ilanot will be told in a forthcoming publication, but for now suffice it to say that they are works of a great and imaginative craftsman — with the latest scroll in the series (that just acquired) representing the artistic peak. The scrolls also tell a fascinating story of knowledge acquired and integrated incrementally from a wide variety of sources, literally from Kurdistan (about which see the forthcoming article in Ars Judaica by Eliezer as well) to the central European Emek haMelekh (published in Frankfurt in 1648). We could hardly wish for anything more than to unroll three magnificent Ilan scrolls on William’s dining-room table to see how they compare; to struggle to read a colophon that nearly two-hundred years of wear-and-tear have degraded precisely where the date was inscribed; and to use the full parchment scrolls to help put together the fragments of Shantuch’s crumbling paper scroll in preparation for its restoration. The highlight of the day, though, was enjoying a pizza with William.